Last year I went to my mom's cousin's apartment to help clear it out a bit. She had a very small family. We were nominated as the ones to help. It's sad when someone passes away. Going through their things seems odd. It's like getting invited to their home, but no invitation was given out. She was a collector. I think all my relatives that were there were wishing she wasn't a collector. Me on the other hand loved it. 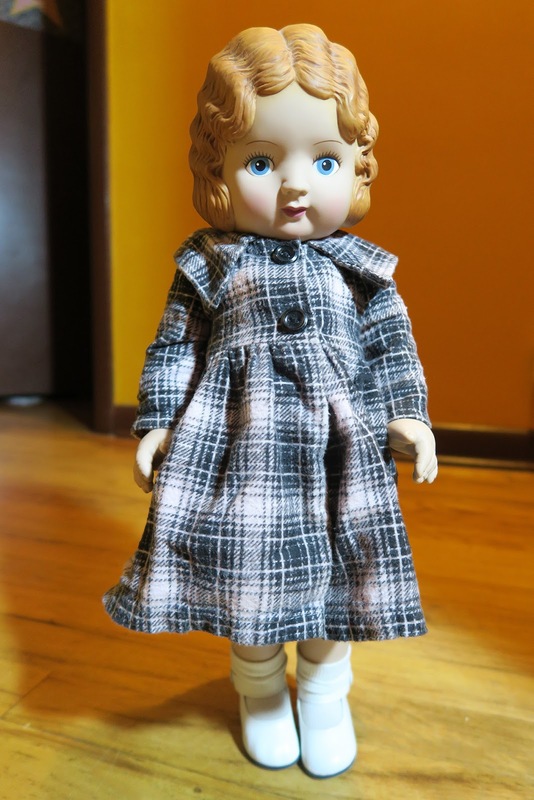 She collected dolls, and made doll clothes. 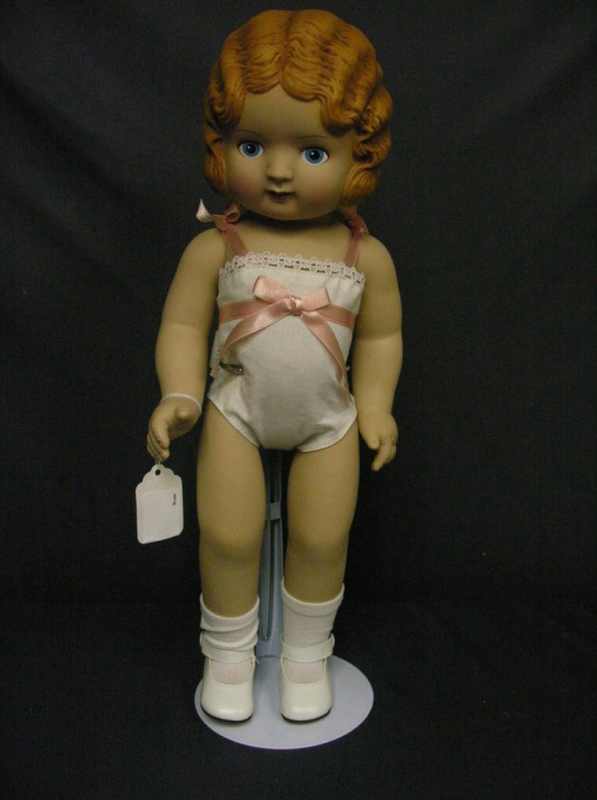 I spotted this doll, and had to have her. I looked her up when I got home. My mom didn't think she'd be worth a whole lot because she didn't have original clothes on. Well she came naked. Still, she's not worth much. 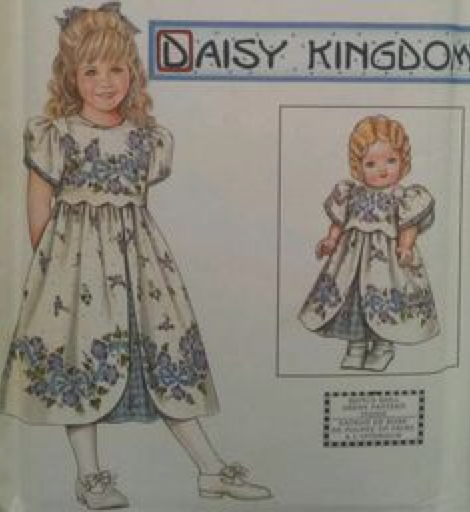 I was intrigued to see that this doll - Daisy Kingdom one day had patterns for clothes, and kid clothes. Much like American Girl Dolls do today. I got a few other dolls. Then I found boxed up ones, and told my aunt closest to her, "Put these in a safe place! Do not let just anyone have these." Do you find old dolls fascinating like me, or creepy? 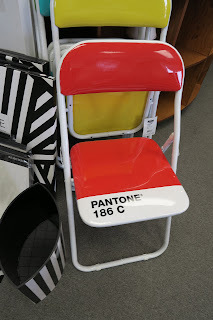 I went to a home interior store and spotted Pantone seats. I'd love a set, but don't need a set. I talk about making Pantone colors in my Design and Layout class. I get giggles all the time. 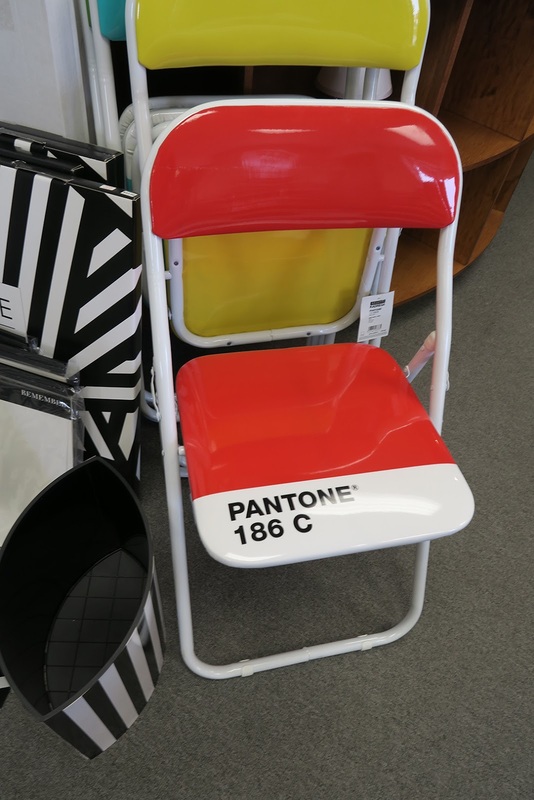 The abbreviation is PMS, which stands for Pantone Matching System. 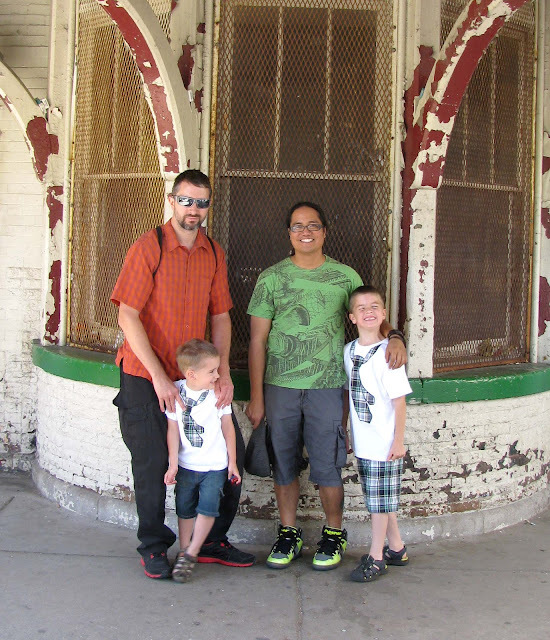 The guy in our wedding that was Travis' Best Man (Sam) lives in Chicago. He's super stoked that Travis is going there for work at a later date. I'm not all that excited because A) I don't get to see Sam. He's my friend to. B) It also means that I get to play single mom over conference time. Anyhow Travis is going with the owner's daughter to a dental convention. She's super nervous. Travis is like, "No worries! I've got this!" He does. He's super great with directions. He told our friend Sam when he'll be there. Sam spread the word to someone we don't really like all too much. Travis is happy to see Sam, but not happy about the other guy that used to get drunk, pee himself, copied off a paper of mine, got me in a mess of trouble, and the list goes on. Sam is awesome, but he also is too nice to everybody. I told Travis, "Let's just hope the guy we don't care for grew up some. It's been 12 years since we've seen him." It should be interesting to hear how this Chicago trip pans out. Sam is from the Philippines. I know a little bit about the Philippines because my step-grandma - the only grandma I knew on that side was from there. She didn't move to the US until she was an adult. There was once upon a time I tried to question Sam about the Philippines. I quickly found out he knows very little about where he's from, and could care less to find out. Sam's favorite food is a cheeseburger. He likes American football. He loves Bon Jovi, Metallica, Dukes of Hazard, and secretly likes Fiddler on the Roof. We joke that he's really not Filipino. He's an American trapped in a filipino's body. We met Sam in art school. He was there because his parents said he had to go to college. Really he wanted to drive big trucks. Since Sam had to go to college, dreamed about trucks, he painted big trucks. When he wasn't painting trucks he'd find things on the ground to put in gutted TV sets to make shadow box art. Certainly an interesting guy! I remember you posting about Sam before. Does he still do art now? I had a penpal from Philippians when I was in school. She was really angry when I stopped writing her back. I didn't do it to be mean, it's just I grew up and life got really busy, I kind of dropped the ball on returning her letters. 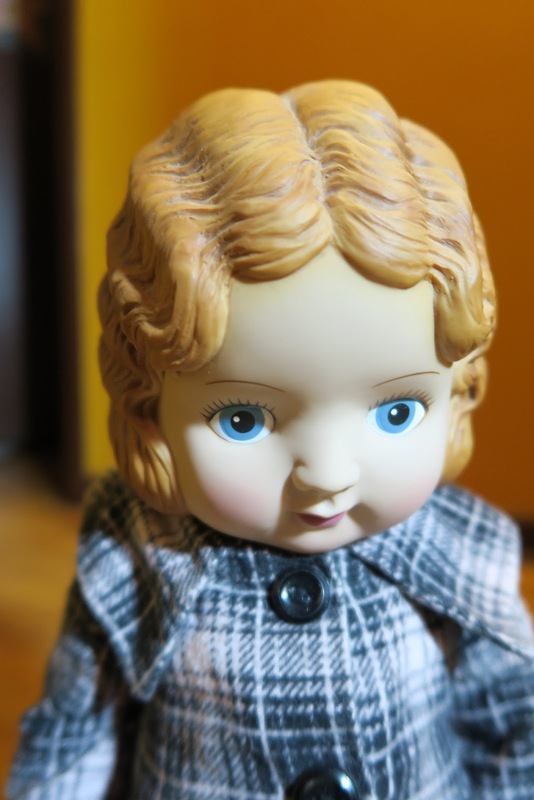 I think that doll is great! I don't have any dolls, but I like to look at other people's when they do collect them.